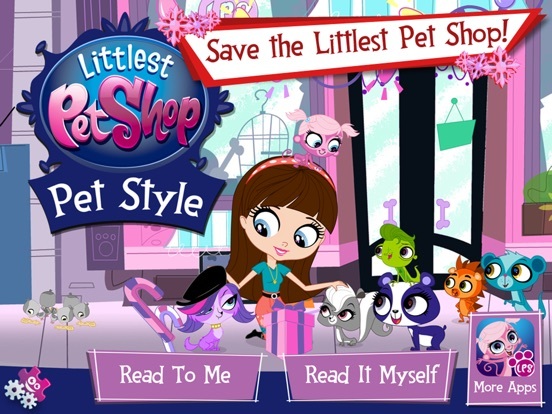 Littlest Pet Shop: Pet Style is an interactive storybook app that takes readers into the world of stylish pets of all shapes and sizes. 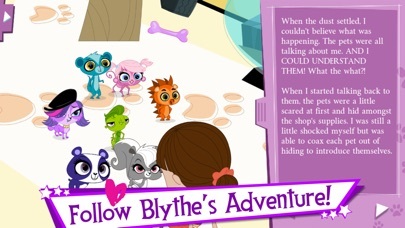 As Blythe shares her experiences from her first days in Downtown City, readers learn about all the fun loving characters and fashionable animals that make up the Littlest Pet Shop. This app has something for everyone as it is a mix of storytelling, interactive games, and animation that kids are going to love. The developers have done an outstanding job of making this app visually appealing and interactive. The interactive images and animation used throughout the story add a ton of interest to keep children engaged as they read or follow along with the story. With animation that is similar to what you might see while watching the television show the developers have created an interesting mix of storytelling and interactive activities that is sure to keep kids of all ages engaged. The audio and sound effects are also great. 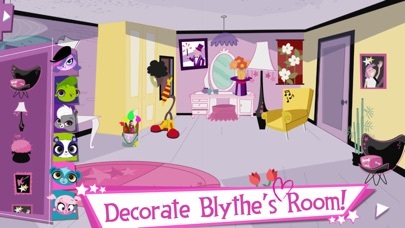 While the majority of the app is very well done, there seems to be a bit of a glitch with the dress up and room decorating activities. The touch response needs a bit of polishing as some of the accessories etc. don’t respond or have a delayed response during play time. 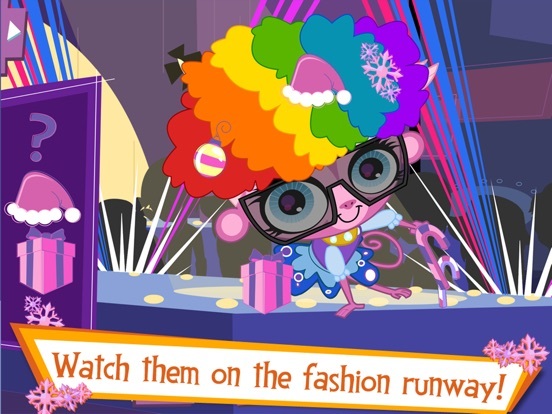 Aside from those bits, the rest of the app is quite easy to use and intuitive for even young children to play. 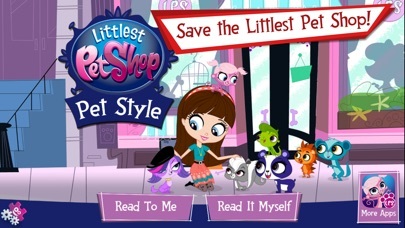 Littlest Pet Shop: Pet Style offers lots of great activities for children to enjoy in addition to the story. 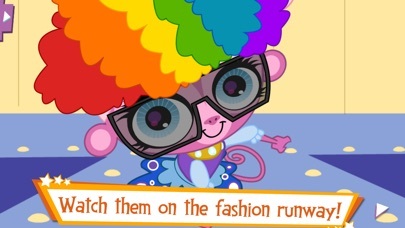 Within the story there is a search and find game that allows readers to find fun accessories they can use to decorate their fashionable pet’s pictures at the end of the app. There is also a sketchbook puzzle and room decorating activity that is incorporated into the story that children will love. 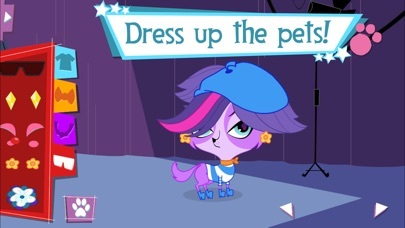 One of my favorites is the dress up activity that allows kids to dress up various animals using a wide variety of clothes and accessories so they can walk the run way in style! 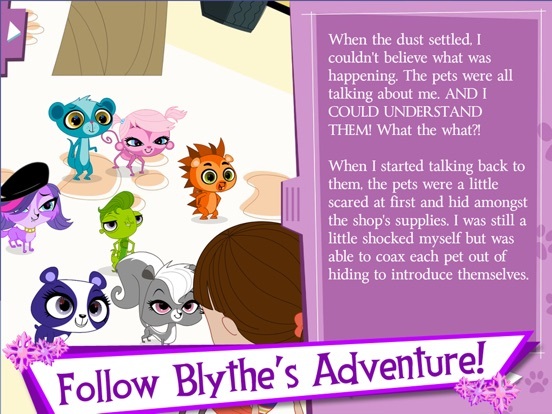 For children who don’t know much about the Littlest Pet Shop, there are also a variety of journal pages scattered throughout the story that give readers a bit more information about each character from the standpoint of Blythe, the main character. With so much to enjoy, this is one app children are going to come back to over and over again. Priced at just under three dollars this app is a great value. It offers not only an interactive story that children will love, but also lots of fun activities to keep children engaged and coming back for more. 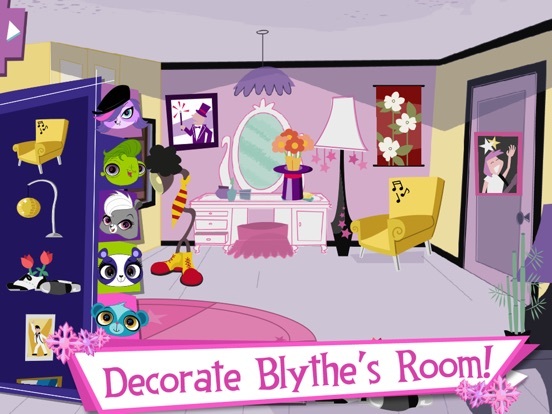 The overall quality is also quite good with great graphics and animation for children to enjoy. With narration options and an intuitive user interface, this app is great for children of all ages. The developers have also done a nice job of keeping the parents only sections of the app appropriately protected so children don’t get into areas they shouldn’t be while using the app. Aside from adding text highlighting and polishing the touch response in the dress up and room decorating activities, this app is very well done.